Have you imagined storing your entire digital world on a portable USB flash drive? Now you can, with the latest DataTraveler Ultimate GT. You don’t need to rely on hard drives and cloud storage for transporting large amounts of data. This new DataTraveler is the world’s highest capacity USB flash drive which comes in 1TB and 2TB offerings. Along with the availability of high storage capacity, this device USB 3.1 Gen 1 compatible to provide an excellent read and write performance. It is made up of a strong zinc-alloy metal casing that makes it shock resistant and offers superior quality in a high-end design. The reliability of Kingston’s USBs cannot be ignored as people owning the previous versions are very much satisfied with their quality. 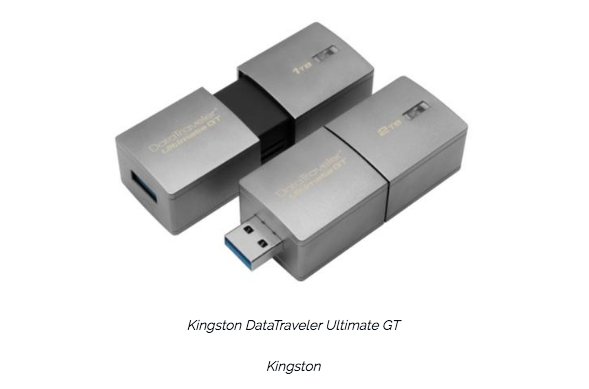 So the trustworthiness of Kingston’s DataTraveler Ultimate GT cannot be questioned. According to the Flash’s business manager Jean Wong, with DataTraveler Ultimate GT the company has pushed the limits of the device. The aim is to enable users to increase their data storage mobility in an extremely manageable form factor. This device is a follow up of the company’s 1TB drive that was released in 2013. With DataTraveler Ultimate GT, the capacity has been doubled so that users’ can easily store even huge amount of data. The shipment of Kinston’s DataTraveler GT is expected in February 2017 but pricing of the device has yet not been publicized.